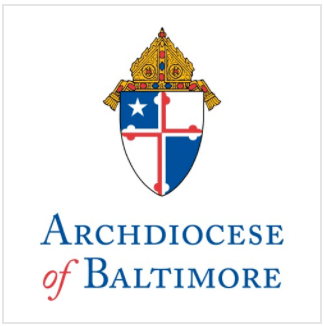 The Most Reverend Edwin O’Brien, Archbishop of Baltimore will welcome 202 catechumens (those seeking Baptism), and 406 candidates (those already baptized Christian) at the Cathedral, while Bishop Denis Madden will welcome 41 catechumens and 94 candidates at St. Ann Church, Hagerstown, and Bishop Mitchell T. Rozanski will welcome 36 catechumens and 78 candidates at St. John Neumann in Annapolis. For the catechumens, the Rite of Election closes the lengthy period of formation of the catechumen’s minds and hearts. It marks the beginning of the period of final, more intense preparation for the sacraments of initiation. At this time, on the basis of the testimony of godparents and catechists and of the catechumens’ reaffirmation of their intention, the Church judges their state of readiness and decides on their advancement toward the sacraments of initiation. Thus the Church makes its “election”, that is, the choice and admission of those catechumens who are ready to receive the sacraments of initiation. For candidates for reception into the full communion of the Catholic Church and for candidates preparing for Confirmation and Eucharist, it is the Rite of the Call to Continuing Conversion. They, too, are affirmed by their sponsors and recognized by the Church.